Anna Hargrave, The Community Foundation Executive Director, Montgomery County, and Jackie DeCarlo, Chief Executive Officer of Manna Food Center. On Thursday, March 28th, the Manna Food Center saluted The Community Foundation as its Community Partner of the Year. We were proud to accept this award on behalf of all our fundholders who have generously supported Manna over the years as well as the many contributors to our Neighbors in Need Montgomery Fund. Collectively, all those gifts over the last 20 years have tallied up to nearly $1 million. Our partnership with the Manna Food Center has evolved significantly in recent years. A key turning point was in Fall 2008, when the economic downturn was heating up. We were disturbed to hear that Manna was experiencing a 40% increase in demand. In fact, people who used to donate during the holidays had to turn to Manna for help. Cliff White, a newcomer to our Grants Committee at that time, challenged The Community Foundation to do more. Believing that people would step up if they were made aware of the growing needs, Cliff helped lead the creation of our Neighbors in Need Montgomery Fund to bolster support for the county’s safety-net providers. This effort galvanized donors of all levels (from $5 to $50,000) by providing them with an easy mechanism to support our key safety-net nonprofits providing food, shelter, clothing, and emergency assistance to prevent evictions. For Manna in particular, our support enabled them to quickly replenish their supply of food while the need rose exponentially. After the 2008 economic downturn, the Neighbors in Need Montgomery steering committee decided to take stock of its investments and explore what would be the most strategic use of our dollars going forward. After listening sessions with community partners, the group challenged itself to pursue giving opportunities which both respond to the immediate needs of our neighbors in crisis while also transforming our safety-net systems to serve more people effectively. Photo courtesy of Manna Food Center. Again, the Manna Food Center stepped up. While impressively serving 30,000 people between their headquarters, 6 satellite locations, and 11 partner drop-off sites, they understood those efforts only met about half the need in Montgomery County. 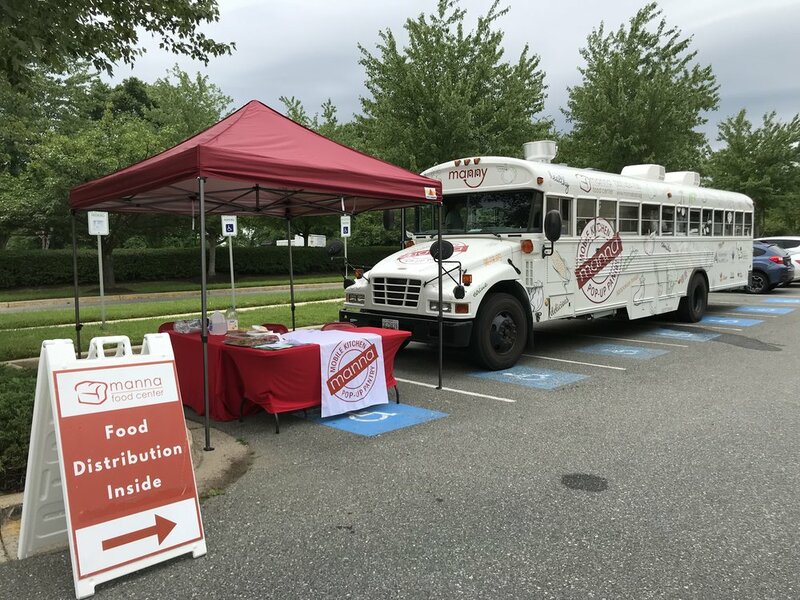 To reach even more deeply into our underserved communities, they requested start-up funds to convert a retired school bus into an innovative new kitchen-classroom and mobile food pantry on wheels. During its inaugural year, this first-of-its-kind bus (nicknamed “Manny”) brought fresh produce to 300 County residents, including many isolated low-income seniors. It also hosted 1,238 class participants in hands-on cooking classes, helping kids learn to enjoy healthy and delicious veggies. Photos of programs, staff and volunteers inside Manna Food Center’s bus that serves as a kitchen-classroom and mobile food pantry on wheels. Photos courtesy of Manna Food Center. 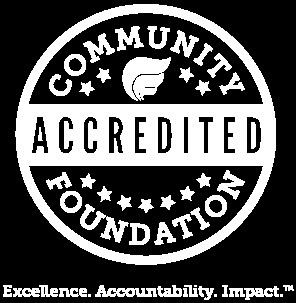 The most rewarding aspect of our work at The Community Foundation is helping people connect with high-impact local nonprofits and discover the joy of making an impact in our home region. We are grateful to the Manna Food Center for being a great partner for everyone who wants to fight hunger and foster hope throughout our community.